MOSCOW (Sputnik) - India and Russia are considering the possibility of making payments for defence contracts in national currencies more often after closing the ruble-denominated deal for the delivery of Russian S-400 missile systems to India, Indian Ambassador to Russia D. Bala Venkatesh Varma told Sputnik. "We have a lot of common understanding on how we should continue to implement the contracts that we have concluded with Russia. 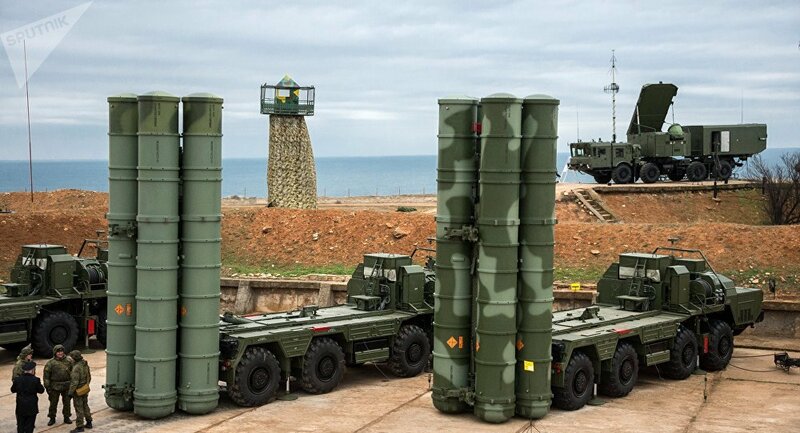 It is not just the S-400s, there are also other contracts which are subject to discussions on finding new ways of payments… It has not been finalized yet, but the general direction is… greater use of national currencies. So there will be payments made in rupees and rubles, and we intend to take this forward on a mutually acceptable basis," the diplomat said. Asked about the finalisation of the deal to provide India with Russia's S-400s, the ambassador said that the schedule agreed by the two parties would be met and the first deliveries of the defence systems would take place in 2020. "The S-400 is, of course, an excellent system. That is the reason why India is taking forward the cooperation with Russia on that… It is a defence system which is extremely good in terms of air defence at a very, very high technical sophistication, and therefore, we are happy that this contract has been concluded," the ambassador stressed. The statement has been made after Moscow and New Delhi concluded a contract on the deliveries of Russia's S-400 missile systems to India worth over $5 billion in early October. The deal was signed during Russian President Vladimir Putin's two-day visit to India. According to Russian Deputy Prime Minister Yury Borisov, the contract has been signed in the Russian national currency. In September, Borisov said after a session of the Russia-India intergovernmental trade commission that the two countries intended to boost bilateral trade in national currencies. The S-400 is a next-generation mobile missile system which can carry three different types of missiles capable of destroying a variety of aerial targets at a short-to-extremely-long range, from reconnaissance aircraft to ballistic missiles.